Builders can now use the all new AX10 Scorpion axle in future builds or to update existing trucks they already have. 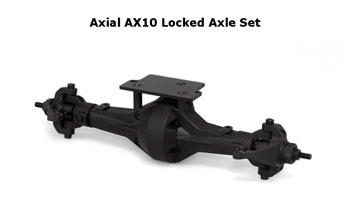 The AX10 Scorpion axle has been designed with many features that are not available from other choices on the market. Everything from the axle strength, pinion angle, caster, and ground clearance were taken into consideration, the result is a stronger better axle that will last. An aluminum diff locker is included along with hardened drive shafts and axles.